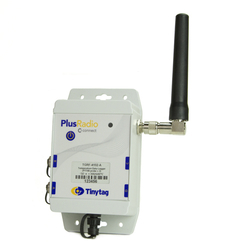 This data logger uses two of the Tinytag PT100 probes for very high temperature monitoring. PT100 probes monitor from -50 to +300/600°C making the unit a versatile solution for many high temperature industrial and process applications. The logger is waterproof and suitable for outdoor, industrial and warehousing applications. It sends information via USB or LAN receiver to the computer managing the system. Suitable for very high temperature applications including oven and process monitoring, PT100 probes monitor from -50 to either 300°C or 600°C and are waterproof to IP68. You have the option of purchasing calibration certificates with our loggers. Standard measurement points are 0 and 30°C for temperature, 20 and 80 % RH (at 25°C) unless specified otherwise. If you don't order calibration, we guarantee the accuracy figures on our datasheets at the point of purchase.